A very insightful SUNRAISE stakeholder workshop took place in Siberian Federal University today on May 28, 2018. During it, members of research institutions, governmental agencies, educational establishments, state enterprises, non-governmental organizations and private companies had an opportunity to discuss issues ranging from permafrost melting to sustainable tourism in Arctic and Mountain areas. 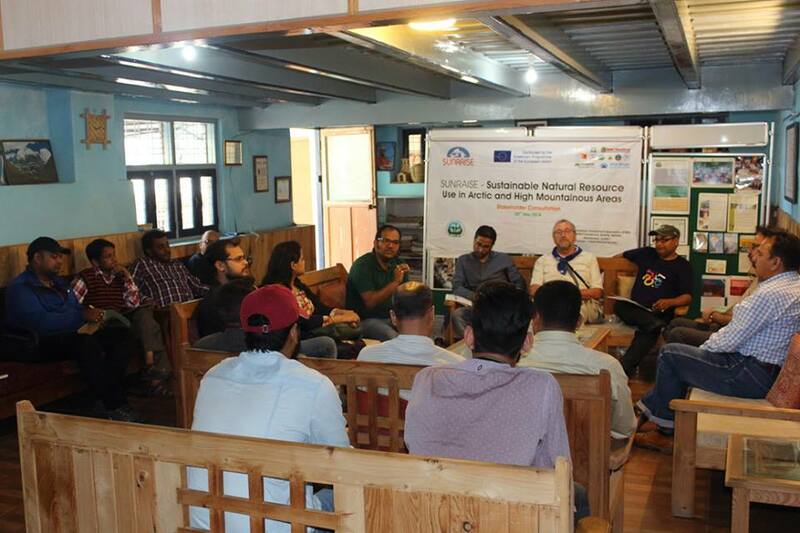 SUNRAISE-Stakeholder Consultation on 22nd May 2018 organized by Central Himalayan Environment Association (CHEA), a partner in the project along with JNU, Delhi and KU, Nainital for India. The objective of consultation was to get acquainted with the gaps between Science, Policy and Practices and planning the courses and modules for students and allied stakeholders in coming years. SUNRAISE stakeholder workshop in Nainital was a huge success! The Department of Geography, Kumaun University, Nainital organized one-day Stakeholders' Workshop at UGC Human Resource Development Centre (UGC-HRDC), Kumaun University, Nainital on 21 May 2018. The main objective of the Workshop was to obtain the feedback and suggestions from a wide range of stakeholders including academic institutions, government organizations, training institutes, research and development organizations, Non Governmental Organizations and private sectors; and incorporate the highly relevant proposals in the multi-disciplinary curriculum development process. 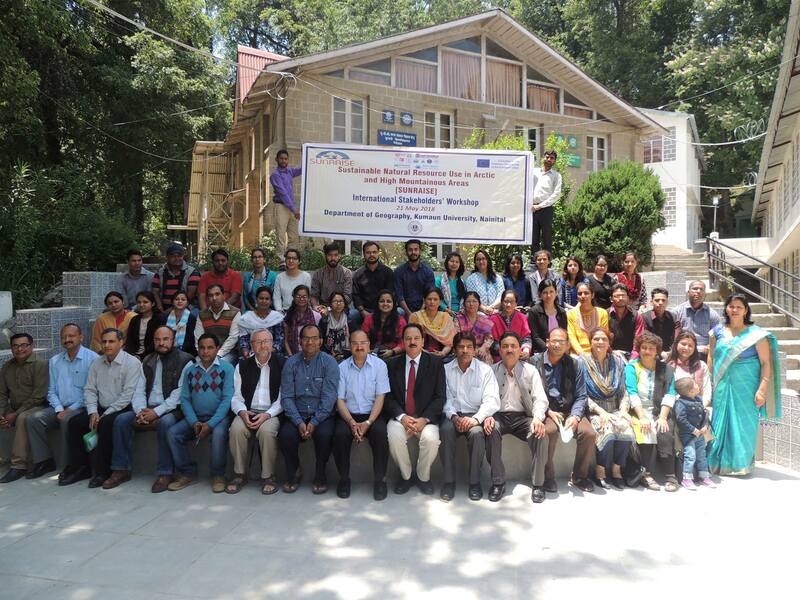 More than 40 participants from Kumaun University and its affiliated colleges, Jawaharlal Nehru University, New Delhi, University of Salzburg, Austria; Uttarakhand Academy of Administration, Nainital; Central Himalayan Environment Association, Nainital participated in the workshop and interacted with the resource persons. The workshop panellists included Professor Juergen Breuste, University of Salzburg, Austria; Professor P. K. Joshi, School of Environmental Sciences, Jawaherlal Nehru University, New Delhi and Dr. Pankaj Tewari, Executive Director, Central Himalayan Environment Association, Nainital. Sustainable Mountain Urban Development; Climate Change Adaptation, Improving Rural Livelihood; Disaster Risk Reduction, Documentation and Preservation of Traditional Knowledge, Forest, Water and Biodiversity Conservation emerged as the highly relevant issues for curriculum development. Read more about SUNRAISE stakeholder workshop in Nainital was a huge success! Department of Geography, Kumaun University, Nainital is organizing one-day Stakeholders' Workshop on 21 May 2018 at UGC-HRDC, Kumaun University, Nainital. The main objective of the workshop is to identify, prioritize and develop the mountain specific curriculum for Under Graduate, Post Graduate and Ph.D. Programmes for the Himalayan Universities.